Which book are you referring to in this sentence: "the book itself is jam packed with pretty powerful information"? 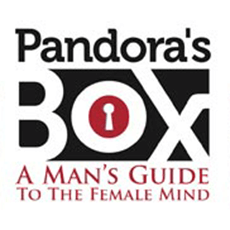 Sorry, but contrary to what the author told you, Pandora's Box is not based on "well-researched science." I realize that Vinny says that the concept is based on dozens of books and hundreds of hours of interviews, but that is not science. I won't even touch on the fact that this is based on interviews of women. Everyone in the community knows how unhelpful women's dating advice is for men. No one on Vinny's team is a scientist or a psychologist. None of them would even know how to read a peer-reviewed scientific study. Vinny Dicarlo probably doesn't even know what "peer-reviewed" means, or why it is important. The only studies I've seen Vinny cite are from the 1960's and 1970's. A scientist would never do that. Not even a student in a "soft" science like psychology would do that. I have a Masters in psychology (not even a Ph.D.), and they do not permit citing studies from that long ago...for several good reasons. Yet Vinny calls this "Hard-Core Science." There are thousands of studies relevant to this topic done in the latest decade. Why would a scientist be forced to reference one study from 40 years ago, and another study from 30 years ago? There have been hundreds of thousands of studies conducted in the latest decade on male-female relationships, liking, arousal, sexual attraction, and personality types. With all due respect (to the reviewer), how could you possibly believe a man like Vinny Dicarlo could be scientific?